Saipin Wichaiya is a native Thai with more than a decade of experience. 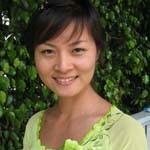 Saipin is enthusiastic about sharing her passion for Thai massage with people here in Hong Kong. Saipin began practicing the Art of Thai massage at the Old Medicine Hospital in Chiang Mai Thailand since 2006. From there, Saipin continued to the Hapa Spa in Sukhumvit, Bangkok as massage therapist. She relocated in Hong Kong in 2009 to join her sister. Saipin has been the resident Thai massage therapist with Pure Massage in Whampoa Gardens since 2009 and is currently a part-time therapist with MoMa Hong Kong Mobile Massage.